My son was so excited when I told him he was going to use shaving cream paint on the window! 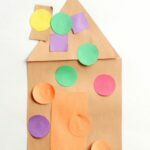 It is a super fun sensory art activity for kids this summer! 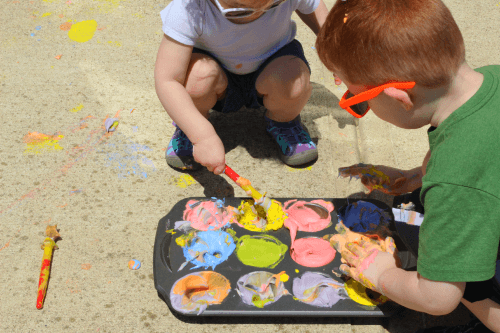 Summer is such a great time to pull out the messy play activities and have some fun. 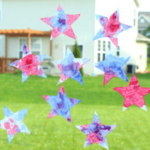 Just hose the kids down afterward and the clean up isn’t too bad. 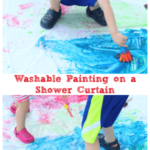 This shaving cream paint is very simple to make and was pretty easy to clean up too! You only need two ingredients. 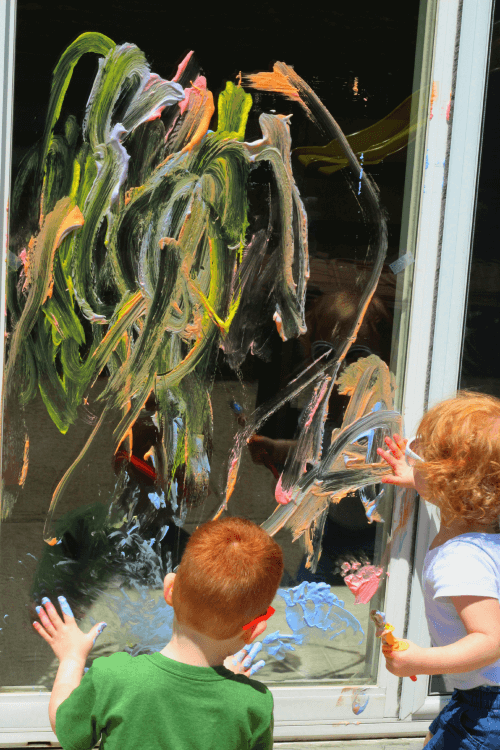 My kids loved using their hands to paint on the window. They actually preferred it to the paintbrushes. I used washable tempera paint because I wasn’t sure if food coloring would work well. I only had blue, red, yellow and orange paint, so I mixed colors to make green and purple. The red ended up pink. I don’t think you can go wrong with any colors though. 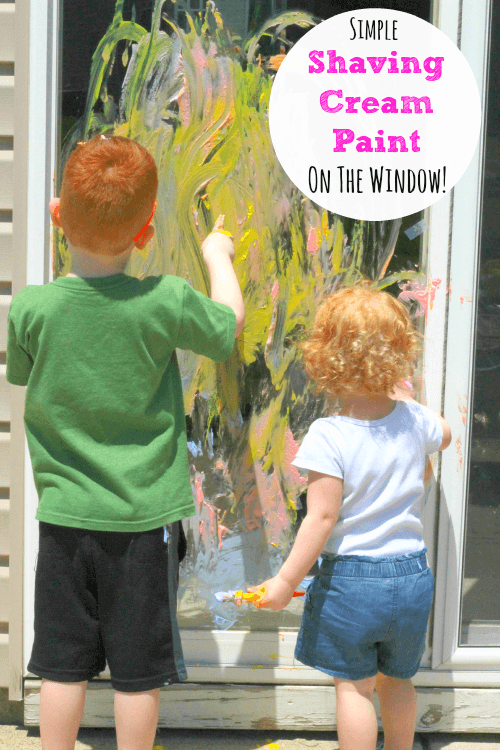 The idea of painting on the windows is enough for kids. Honestly, you could just give them the plain white shaving cream to paint on the window and they would be happy. 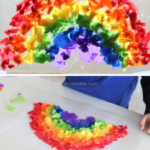 The colors added creativity and beauty to the activity. 1. 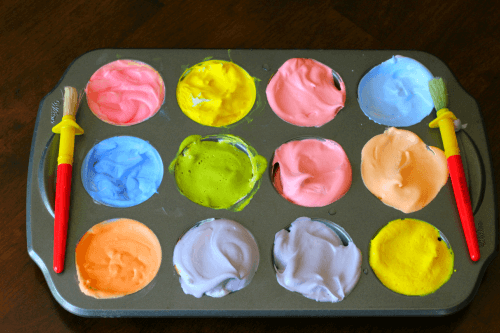 Squirt a bunch of shaving cream in each spot on the muffin pan. 2. 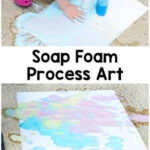 Add squirts of paint to each spot and stir. Keep adding paint until you get your desired shade. 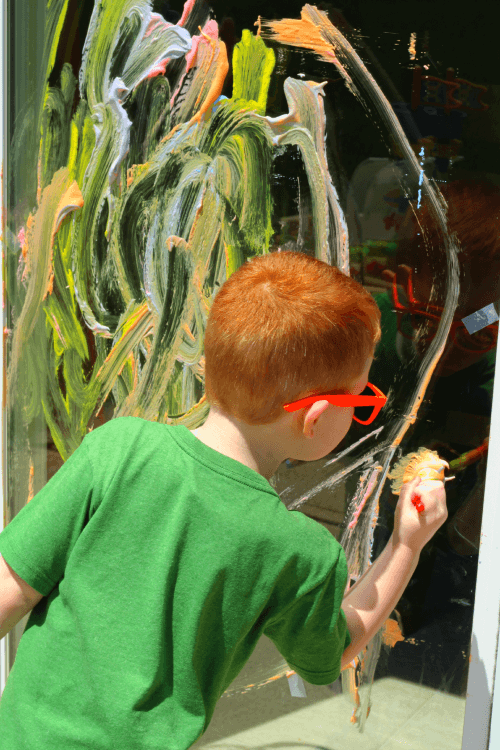 Evan got right to work dipping his paintbrush in the shaving cream and painting on the sliding glass door. He was very excited to paint on a window! 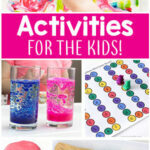 Not long into the activity, he ditched the paintbrush and started painting with his hands. He definitely preferred that. He loved that it was squishy on his hands. Alyssa jumped right in too! She started with her hands, but wasn’t a fan of the mess. She stuck to painting with a paintbrush. They both painted for a very long time. I was actually very surprised by how long the paint lasted too. It was quite a mess by the end, but the kids were so excited by this activity that it was definitely worth it. We just got the hose out and sprayed everything down afterward. That added to the fun!